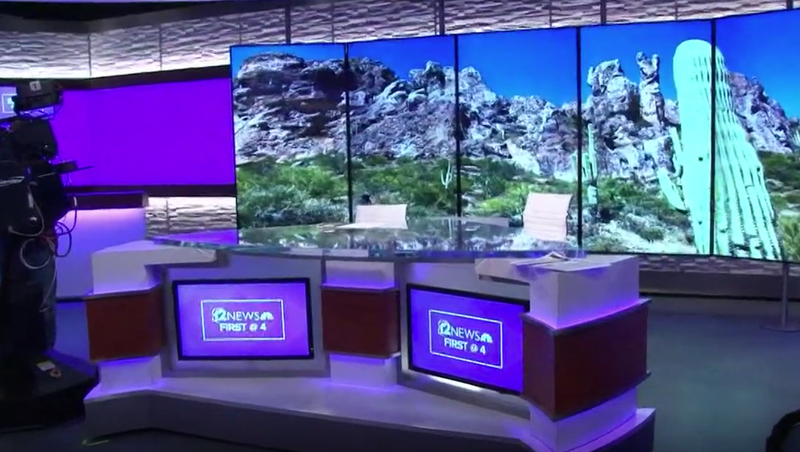 The new set uses the basic look and feel of the designed used by other Tegna stations, but adds dramatically lit textural elements inspired by the region’s natural resources and architecture — as well as a slight increase of video panels. 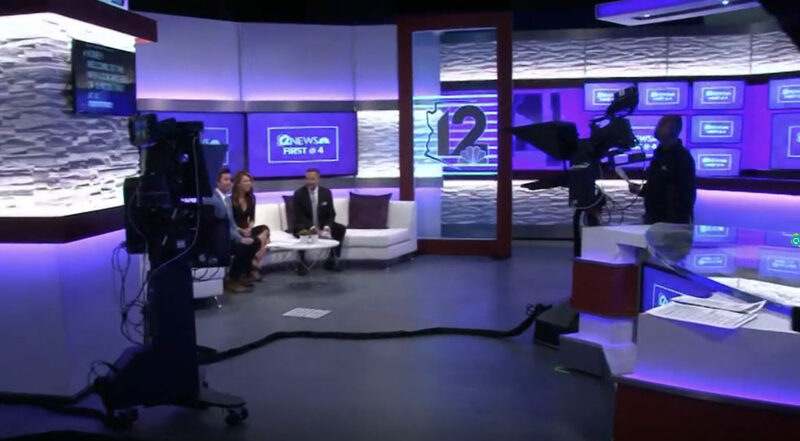 KPNX’s version of the “in the round” style anchor desk sports twin video screens, while the traditional vertical video array behind it is brought forward from the wall behind it, adding to the textural and layered look. While the station has retained its iconic Arizona outline logo, which makes a dramatic appearance on an on-set glass panel, its color palette has shifted slightly more toward violet — which also makes appearances as the set’s backlit walls’ default setting. 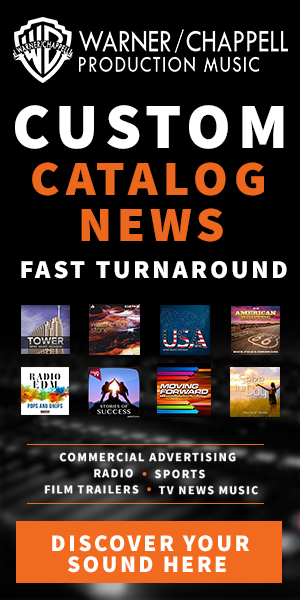 In addition, the logo now appears boxed, like other Tegna stations’, in some key applications, namely the station’s implementation of the group’s graphics package. In addition to the larger video panel setup behind home base, the new look also adds additional video arrays near the anchor desk that mix larger and smaller screens as well as a three panel array in a nearby interview and multipurpose area that can be used with a sofa.